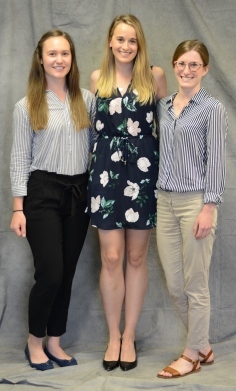 Pictured from L to R: Jamie Mclellan (Conestoga), Charlotte Ley (Fanshawe), Ariane Metcalf (Michener). Absent: Telayna Johnson (Algonquin), Victoria Eckesnweiler (Canadore). 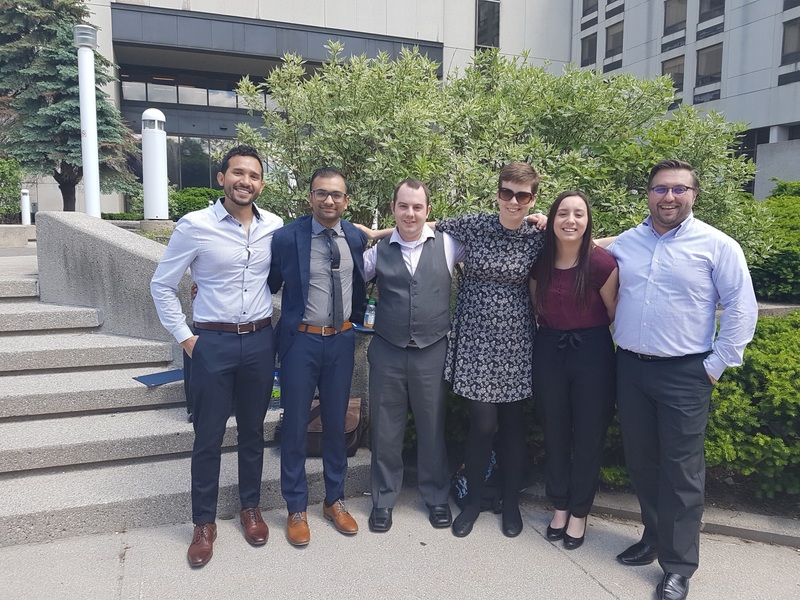 Pictured from L to R: Anthony Yip Chuck (Fanshawe), Danny Raghunandan (Canadore), Cameron Streicher (Conestoga), Madeleine Poirier (Algonquin), Kyla Legault (La Cité), Sam Gennidakis (Michener). Absent: Kylie Pomeroy (St. Clair). development of a student-version of the PORTfolio that was shared with all Ontario Respiratory Therapy programs. To further enhance student engagement a pilot program was run in 2016 inviting a second-year student representative from each of the seven (7) RT programs in Ontario to sit at Council, for a one-year term, in a non-voting position. earn valuable volunteer experience that we hope will translate to future involvement in their profession (and can be listed on CVs/résumés/LinkedIn™). is not the current student representative for the CSRT or RTSO. Student representatives from each program were selected by their program coordinators. CRTO Staff provided the reps with an orientation session their first Council meeting to help them understand their roles, review the CRTO’s confidentiality policy, governance model and strategic directions. Students were also told that they would be required to adhere to a Code of Conduct that, if breached, may result in their removal from the initiative. improving communications and relations with the Ontario RT programs. At the June 2017 Council meeting the survey responses and CRTO impact were considered by Council Members. Unanimously it was decided that the initiative should continue. The CRTO values its ongoing connections and collaboration with all stakeholders and believes that Respiratory Therapy students are fundamental to the future of healthcare in Ontario and the profession.